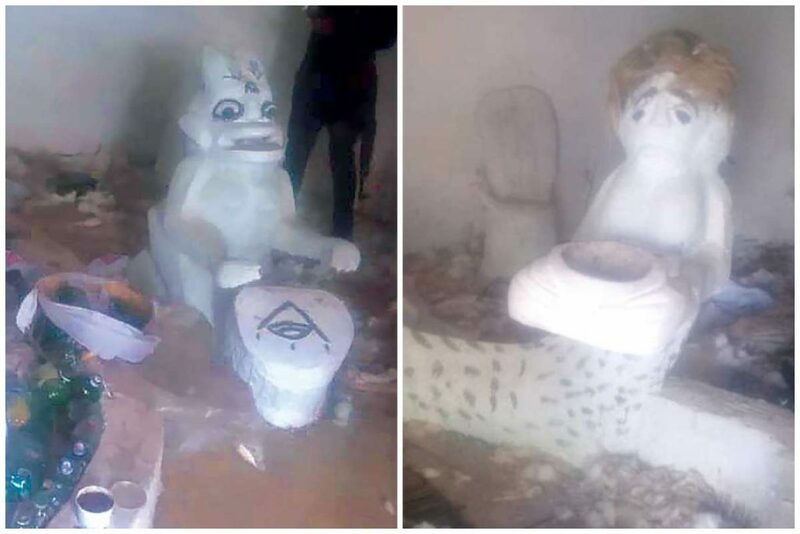 The Ekiti State police command has uncovered a ritualists’ den in Odo, a suburb in Ado Ekiti, the state capital and arrested two suspected ritualists. The Commissioner of Police, Asuquo Amba, who led a team of officers and journalists to the forest where the shrine was located, said the hideout could be a den of kidnappers, fraudsters and other undesirable elements. “We trekked a few kilometres into the forest before arriving at the well laid out shrine. We discovered a hidden underground in one of the houses at the shrine and there were fetish objects all over the place. These fake foreign currencies suggest that the operators of this shrine are fraudsters. The police boss, who described the den as fraudsters’ hideout appealed to the general public to always assist the police by giving them useful information which could help them to perform their duties.